It is tough to describe what C&I means to us, because it’s more than a company. Being able to help business owners and corporations accomplish a marketing goal through storytelling is an incredible feeling, and we are addicted to seeing these campaigns work. What we do is hard to replicate. You can’t hire an internal marketing team and achieve the same goal. We have the outside view, the outside opinion, the fresh perspective. We are thinking not only about our clients, but how our clients can be successful every single day. What we do at C&I is more than just a job to us. We were made to create, and we bring that passion to every single project that we work on. We package our creativity with compelling research and statistics to accomplish any goal. The secret sauce of our company is its people. A team of selfless workaholics that aren’t satisfied with just being good. When we step up to the plate with every client, we never want a base hit, we want to throw our bat on the ground and watch the ball fly into the stands. We aren’t the middlemen, either. We are the men, we are the women, and we know how to take an idea straight out of thin air and technically execute it right in front of you. We aren’t creatives, we are professionals. Creatives need to be inspired to take action. Professionals are so good, that they need to no inspiration to act. 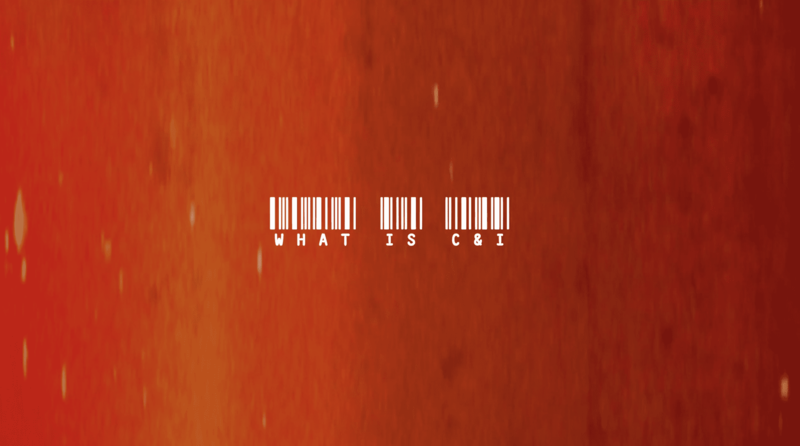 These words have only tried to scratch the surface of what C&I is. Watch this video, and you’ll see what we mean.